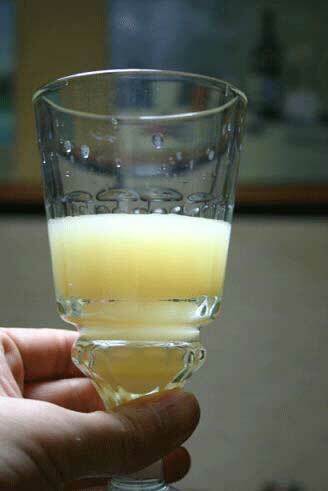 Make REAL Absinthe at Home!!! Not the fake stuff, but real, high quality, authentic absinthe! Now that absinthe is completely legal to purchase again in most countries after a nearly 100 year hiatus, perhaps you've had a chance to try the fabled green beverage. Maybe you are have been drinking it for a while, or perhaps you haven't tried it at all yet! Whatever your level of experience, the thought of making absinthe at home yourself may have never crossed your mind. Although this may come as a complete surprise to you, it is quite possible to make the green fairy at home! Outside of it being an extremely satisfying and fun hobby....Have you priced absinthe lately? If you've purchased a bottle of anything even mediocre quality, you probably spent at least US $60 for it, right? And although it might have been "alright" (if you are lucky), it's not exactly cheap! Heck, a bottle of an above average absinthe can easily set you back US $90 to $120 dollars for 750 ml! That doesn't even take into consideration the "quality" factor. You may be surprised to hear this, but it's not only possible, but rather quite easy to make absinthe on your own that is of a higher quality that the average commercial products out there! Let me get this out of the way, I want to be completely upfront with you about an important fact because How to Make Absinthe at Home is meant to be the no B.S. guide to making real absinthe. If you've been wondering about the legality of making absinthe, I can tell you right now that although absinthe is legal to own, buy, and sell just about everywhere in the world right now, distilling alcohol for beverage purposes in the United States and Canada is not legal unless you have the proper licenses to do so. And and unlike all of the fake vodka-soak absinthe kits out there for sale, real absinthe requires distillation. There is simply no way to get around that fact. Yes, of course I want you to make absinthe! However, I only advocate that you do this in a legal way. Despite the fact that zillions of enthusiasts distill their own alcoholic beverages without said licenses is no excuse for breaking any laws. Despite how you may feel about this intrusion of government in the lives of private citizens, I can say with confidence that it is certainly possible to get the required licenses if one is willing to go to the trouble of doing so - I know many who have. The eBook How to Make Absinthe at Home is informational in nature - we are talking about detailed, step-by-step, loaded with photographs, charts, and sources for supplies informational. It will show you how you can make the fabled beverage should you decide to do so. As I have no idea what country you may be reading this material from, complying with the law is naturally up to the enthusiast who may read the eBook. Please Do NOT Confuse the information in this eBook with a Vodka-Soak "Absinthe" Kit! If you've looked around the Internet for instructions on how to make absinthe, there's a pretty good chance you may have run across "absinthe kits" that will supposedly make absinthe by soaking wormwood in vodka and filtering. Do not be misled! 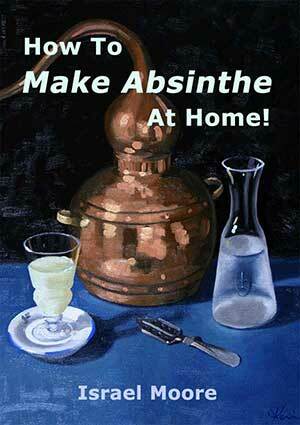 What they fail to tell you is that REAL absinthe cannot be made without distillation! Or worse yet, they'll outright LIE to you and tell you distillation is not necessary! But no matter how they may try to fit a square peg in a round hole, no matter what ingredients they may supply you with their "absinthe brew kit", no matter how long you soak herbs in vodka and no matter how much you may filter it, if it's not distilled, it's simply not absinthe! Fact: Wormwood is one of the bitterest plants on the planet! It is so bitter, it's mentioned numerous times in the Bible! No amount of "filtering" will remove this supreme bitterness. Bottom line - Distillation is, always been, and always will be required to make real absinthe. Make Absinthe at Home shows you how you can do exactly that! Likewise, there are other kits out there whereby you add "essences" to stock alcohol - These kits are nearly as bad as the vodka-soak kits! Understand - That is NOT what this eBook is about! How Difficult is it to Make Real Absinthe? Granted - It does take some knowledge, patience, and practice... But it isn't exactly brain surgery either! What's different about this eBook? It was only after How to Make Absinthe at Home was completed that the author decided to take a look at other publications on the subject. Why? Because he wanted his publication to be unique, with no outside influence either good or bad, based solely on his own expertise on the subject of brewing absinthe. Unlike the few publications out there that are simply a re-hash of general information and rudementary instructions, How to Make Absinthe at Homegives detailed, step-by-step information from an obviously very experienced homebrewer! Mathematical formulas for mixing alcohol, detailed information on ratios, detailed information on how to dilute, what to dilute, why and when to dilute alcohol are included, of course! Naturally, a time tested authentic recipe with needed ingredients listed down to the gram is included. The author even went to the trouble to include a temperature chart showing what a new brewer should expect to see when making their first batch. Frankly speaking, there is simply no other publication on the market that will walk the potential new brewer through the process like this one does! Choose Your Favorite eBook Format! Order Your Copy For The Low Price of U.S. $8.99 Today! 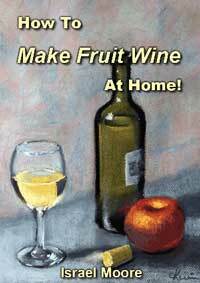 How to Make Fruit Wine At Home!